I recently ran a session on Digital Development here at IDS for staff from two bilateral donors. Preparing for that session amid news revelations about the abuse of social media by governments and corporations in countries across Africa & Asia turned my thinking on Information and Communications Technology for Development (ICT4D) on its head. Wayan Vota wrote a great blogpost this week on whether the goals of sustainability and using open source ICT4D are compatible within the context of international development. It is a stimulating and thoughtful piece. This is my latest attempt at sketching out a calendar of ICT4D conferences scheduled for 2016. Thanks especially to Laurent Straskraba, Edgar Nsheega and to Richard Heeks and Larry Stillman for suggesting additions. Should all ICT4D be Commodified? Alex Deng from Huawei's Corporate Sustainable Development Committee has posted a stimulating article on the Harvard Business Review site. In it he argues that to really help the global poor we must create technology that they’ll pay for. If you follow me on Twitter or Facebook you will know that as soon as I finish the final (?) revisions on my PhD this September I am moving to Macau. The United Nations University is recruiting Research Fellows for its new Institute on Computing and Society - UNU-CS - in Macau. It's Not About the Technology Stupid! I'm busy reading Kentaro Toyama's new book Geek Heresy. Rui Roberto Ramos provided a fascinating case study at IFIP9.4 of ICT use by Recife City Council to impose control over informal street traders. Is a Transformist ICT4D Possible? 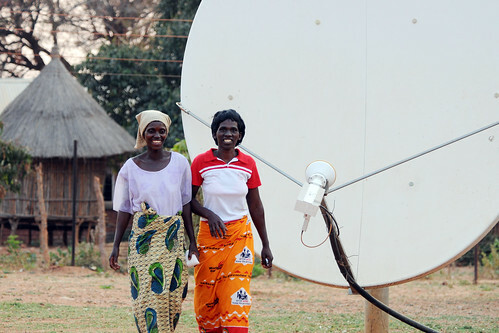 Comment about ICT4D tends to be either celebratory hype or entirely negative criticism. Both extremes tend to be based on assumptions that are uncritical about exactly what we mean by development, as well as about the relationship between ICTs on the one hand and development on the other. As you know participatory video (also known as PV) is the process of enabling non-experts to make films about (development) issues that they prioritise. Participatory video can be a way for disadvantaged communities to appropriate technology in order to take control of the way in which they are represented and to amplify local voices on key issues of concern to them. As usual I have had a go at putting together a calendar of ICT4D conferences scheduled for the year ahead. With many conferences still to announce details it already looks like a bumper harvest with May, as ever, looking to be the busiest month. There's an interesting discussion going on within the civic-tech community about the lack of a common language for discussing the hugely diverse ways in which citizens are using technology to foster social change. Mobile Activism or Mobile Hype?